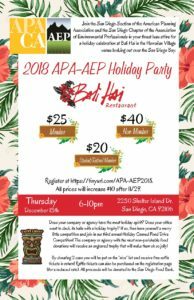 APA-AEP Holiday Party at the Bali Hai! 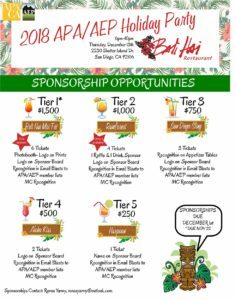 Join us for live music, dancing, raffles, photo booth, food bank fundraiser! 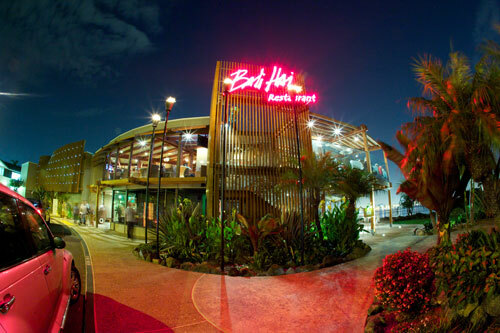 Ticket Includes: Heavy appetizers and a premium drink (wine, beer, Mai Tai)! 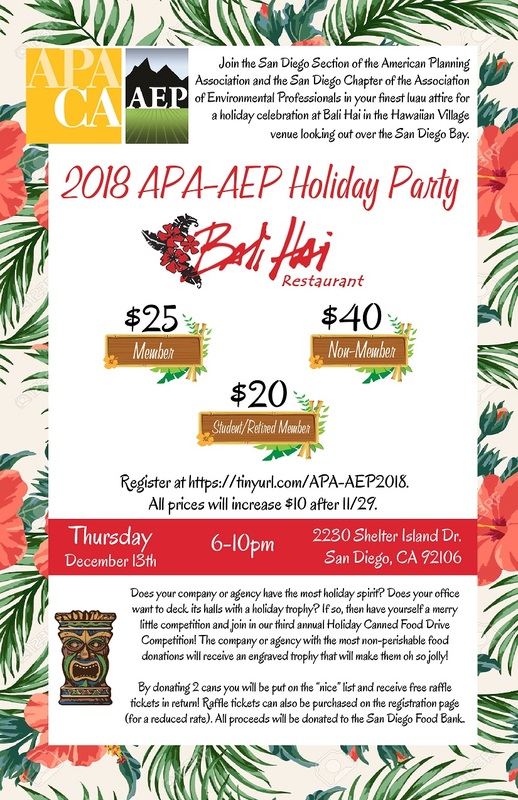 Does your company or agency have the most holiday spirit? Does your ofﬁce want to deck its halls with a holiday trophy? If so, then have yourself a merry little competition and join in our third annual Holiday Canned Food Drive Competition! The company or agency with the most non-perishable food donations will receive an engraved trophy that will make them oh so jolly! By donating 2 cans you will be put on the “nice” list and receive ONE free rafﬂe tickets in return! 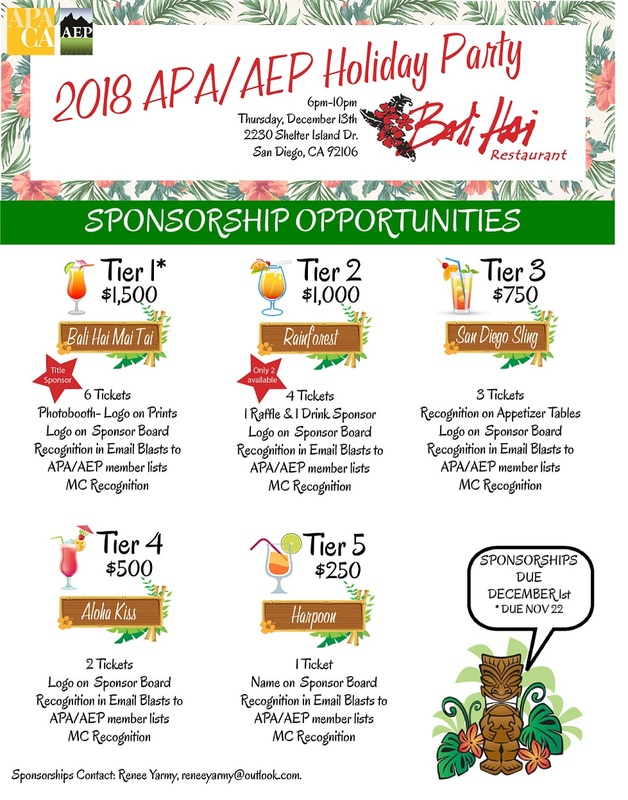 Rafﬂe tickets can also be purchased on the registration page (for a reduced rate prior to the event) or with at the event (see pricing below). All proceeds will be donated to the San Diego Food Bank.